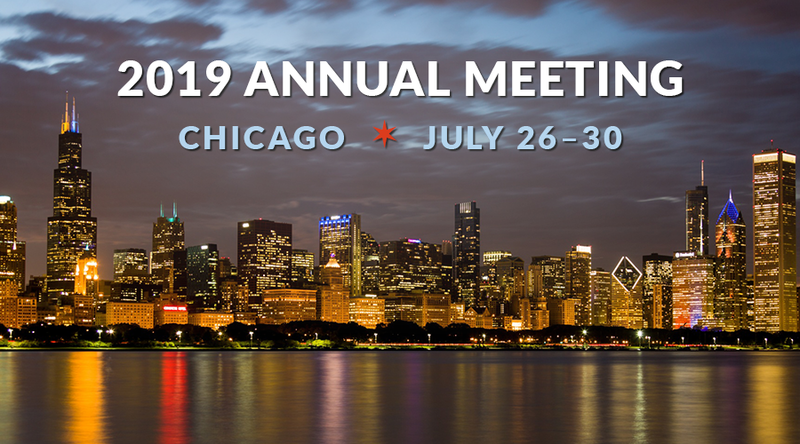 Join us from Friday, July 26th through Tuesday, July 30, 2019 for the 37th Annual Meeting of the American Society of Retina Specialists at the Hyatt Regency Chicago! As always, the ASRS Annual Meeting is a forum for the most important developments in retina. World-renowned experts present their most important work. Industry partners showcase their best technology. Members reunite with friends and make new connections during social events, breaks, and interactive sessions. Poster Awards. The top 3 and the most “Eye-Catching” posters will be recognized at the Gala Dinner. All submitted posters will be automatically considered for these awards, so make them great! Posters will be available throughout the meeting in the Exhibition Hall, with two moderated Poster Receptions (Saturday and Monday), where you can enjoy a glass of wine and special interviews with select poster authors. Increased Discussion time. Presentations will be shorter to allow more time for moderated question-answer sessions after every 4-6 talks. Take-Home Panels. In addition to question-answer sessions, each major area will conclude with a Take-Home Panel in which experts discuss topics of current clinical relevance to provide information you can put to immediate use in the office or in the OR. The LAST WORD. The most controversial, the most fascinating, the most important, the most memorable presentations…sometimes a topic deserves more time. The LAST WORD will be the final session of the meeting, on Tuesday, July 30 from 1:35 – 2:15 pm. Selected authors, determined during the meeting, will be invited to present a two-minute summary of their work, followed by audience and expert panel discussion. Stick around for the LAST WORD! Welcome Reception at Eataly Chicago. The ASRS takes over the entire restaurant for an evening of great food and drink. Black Tie Gala Dinner at the Field Museum of Natural History. Wear your finest for an elegant evening of dinner and dancing at the feet of Argentinosaurus, the world’s largest dinosaur. Sunday evening. Need a tuxedo? Rent in advance from Men’s Wearhouse and reference ASRS group code #8474132 at your fitting to arrange pick up at the meeting. Watch for our weekly Annual Meeting Update e-newsletter. There’s much more in store at the Greatest Retina Show on Earth. See you this summer in Chicago!